The Leadership Compass: Mapping Your Leadership Direction is one of the best tools for current or aspiring leaders to increase their leadership effectiveness and improve their skills and behaviors in leadership competency – specific to their individual needs and the needs of their current or aspired to position. We wrote this book from over 15 years of research into the most important leadership competencies effective leadership requires. These 30 competencies positively differentiate the leader and contribute to their success. When current and aspiring leaders pinpoint their current leadership competency level, they can gain focus in their leadership development direction. This book provides leaders with the focus, tools, and roadmap to achieve greater leadership effectiveness. The Leadership Compass: Mapping Your Leadership Direction is easy to use and begins with the importance of leadership competence and an overview of the Leadership Compass Competency Model™. Then, it explains the leadership development process and describes in detail how to implement a focused leadership development direction specific to each leader’s situation. A brief introduction to the competency and its importance to effective leadership. A case study highlighting positive skills and behaviors for the competency. Special notes for aspiring leaders to help them grow in the competency. Red flag warnings to alert you to behaviors that damage your leadership effectiveness for the competency. A self assessment to determine your strengths and weaknesses in the competency so that you can gain focus in your leadership development actions. Recommendations to improve skills and behaviors for the competency. Additional resources for further help and study of the competency. Templates to build a Personal Development Plan for the competency so you can take the appropriate actions specific to your greatest leadership development needs. 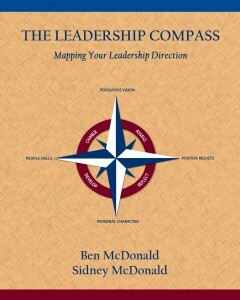 The Leadership Compass: Mapping Your Leadership Direction is a self-directed workbook. After completing the workbook, the outcome is a customized and precise roadmap for improving leadership competency and growth in the areas most important to the leader’s position, needs, and professional goals, all in a timeline that fits their schedule. For information on how to use The Leadership Compass: Mapping Your Leadership Direction with your team or in your organization contact us for additional resources. 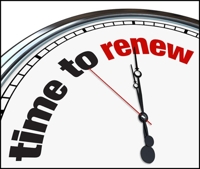 Bulk Orders – Contact us on orders of 2 or more.